Deoxygenation is a major global environmental problem affecting marine waters and is among the most widespread deleterious anthropogenically induced consequences which may be catastrophic for living organisms. Oxygen Minimum Zones (OMZs) may appear in various parts of the ocean where water ventilation is not able to renew the O2 consumed by respiration. In the coastal area, the occurrence and expansion of OMZs mainly result from the combined action of climate warming that reinforces the stratification (i.e. stronger and longer stratification, lower solubility of oxygen) and anthropogenic eutrophication that enhances the amount of organic matter to remineralize. BENTHOX is targeted towards the understanding of marine coastal hypoxia and its consequences on benthic-pelagic exchanges, diagenesis and ecosystem functioning. It aims at developing appropriate assessment tools and methodologies to better understand the mechanisms behind coastal hypoxia and its impact on the status of the benthic ecosystem and biogeochemical cycling. Since the benthic compartment is a key player in the occurrence of coastal OMZs, a lot of efforts will be devoted to the modelling and understanding of this compartment which has been often oversimplified in previous ocean models. What is the impact of bottom hypoxia on benthic nutrient cycling, benthic-pelagic fluxes and the activity of benthic organisms? Which (paleo)-proxies can be used to reconstruct the long term history of hypoxia? Which tools can be used to provide management strategies that will control the level of bottom hypoxia and preserve the Good Environmental Status (GES) of marine waters? Which tools can be used to investigate and differentiate the drivers of bottom hypoxia? The Black Sea is chosen as a pilot area because the occurrence of hypoxia is shown to significantly increase between the 70’s and the 90’s, implying modifications of the benthos. Some regions of its north-western shelf (NWS) are still seasonally affected by hypoxia. 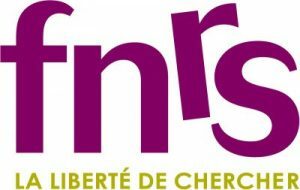 BENTHOX is a 4-year project (1/10/2015-30/09/2019) financed by the FNRS.